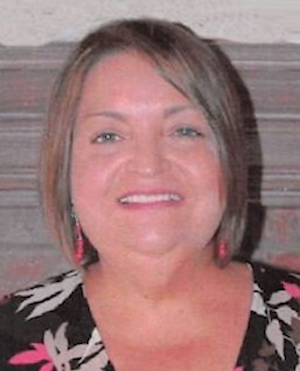 Obituary – Burkett, Carol Ann (Colen) « Perry High School Alumni Association, Inc.
Carol Ann Colen Burkett, age 57 of Perry, OK, passed to be with our Lord, April 26th, 2016. Memorial Services will be held at the Brown-Dugger Funeral Home Chapel, Wednesday, May 4th at 2:00 p.m.
Carol was born Wichita, Kansas on June 12th, 1958 to John Delmar Colen and Betty Lee Bunker Colen. 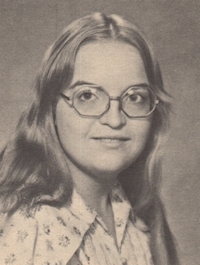 She attended school and graduated at Perry High School in 1976. She worked in Health Care Field as a Customer Service Representative. She also attended the Christ Lutheran Church here in Perry. Carol has 1 brother, Christopher S. Colen and a sister, Terri Lynn Vorndran who preceded her in death. She had numerous nieces and nephews and loved to be called Aunt Carol by them all. Carol was a very loving and caring person who not only took care of her mother and father, but loved her pets unconditionally. Carol will be greatly missed by family and friends.